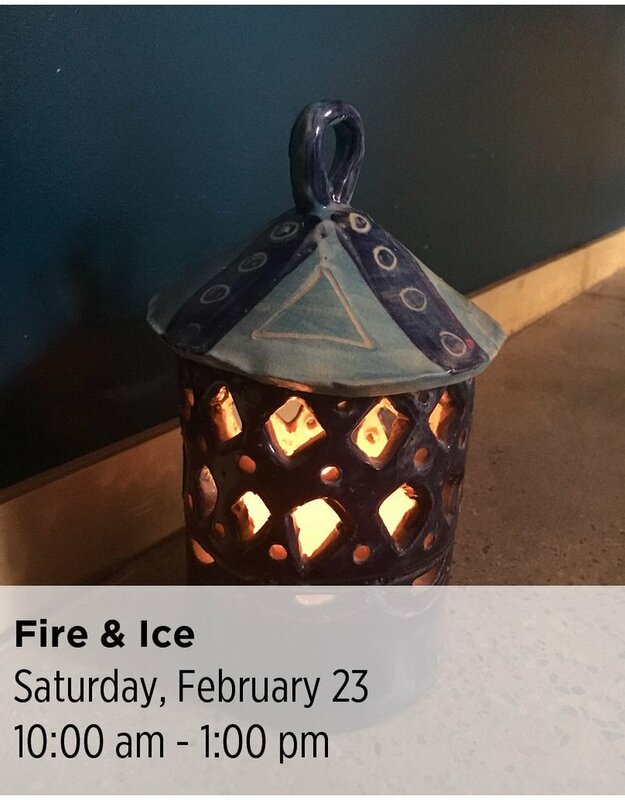 Date: February 23 Day: Saturday Time: 10:00 am - 1:00 pm Instructor: Eileen Cohen Description: Tackle cold, dark nights one candle at a time as you make a MinneSNOWta inspired luminary. Let your true north shine through while you learn the basics of slab construction and decorate your work with colored slips. All skill levels welcome. Ages 6 & up.